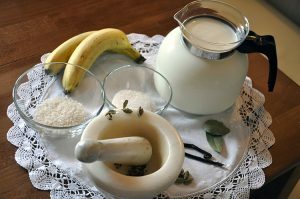 A fresh banana and rice smoothie enjoyed at any time of the day. 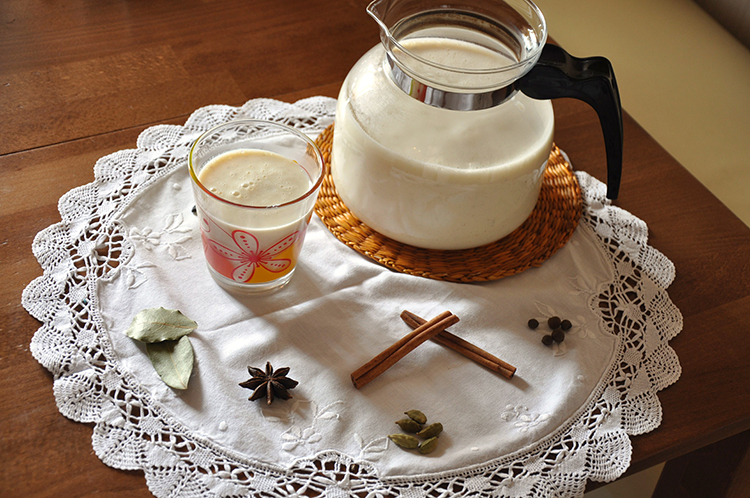 Boil the milk and leave the milk to sit on a low heat. Add the washed rice to the milk. Cook until the rice is soft. Once cooked add the 2 tablespoons of sugar and mix thoroughly. Chop the bananas into small circular pieces and add into the mixture. Blend it all together with a hand blender or food processor. Refrigerate for a minimum of 30 minutes or until cold, before drinking.